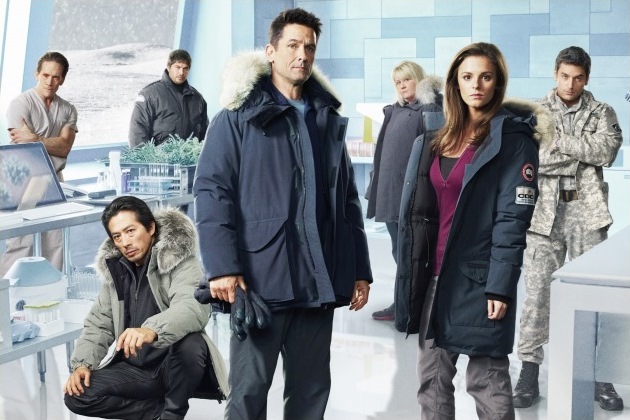 The cast of Syfy’s Helix will be changing scenery in season two. Now, instead of the white Arctic they will be surrounded by a green jungle. It will most definitely seem like a fresh change, since they won’t be stuck inside a building filled with infected people. Nope they won’t be stuck inside anymore, but they will be running from another infection in an unfamiliar island. The season two’s teaser demonstrates the cast jumping from a ship to the jungle. The CDC doctors have been assigned to investigate a new outbreak that found its way onto a cruise ship. That directs them to an island that is inhabited by a Utopian society. Leading that society, as it happens, is cult leader Brother Michael who will be played by Steven Weber. While the teaser doesn’t give much information, it does glimpse to the new infection. This new outbreak appears to have the same properties as the outbreak in the Arctic. The trailer doesn’t show this new infected person attacking but his face looks menacing. His appearance causes Dr. Peter Farragut (Neil Napier) to drop his flashlight, so there has to be something dangerous about him. The new season will premiere in January 2015 on Syfy.